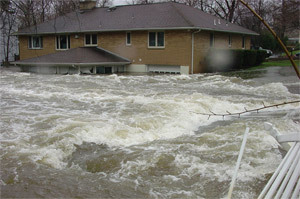 A flood occurs when water flows over areas that are normally dry. Floods can happen slowly, or they can occur within a few minutes. Flooding causes more damage than any other natural disaster.